While the city of Clairton works to emerge from nearly three decades as a state-designated financially distressed community, the Jefferson Regional Foundation has awarded $180,000 to a nonprofit that will assist the blighted Mon Valley steel town’s efforts to rebuild its business district. The grant, to be disbursed over three years to the nonprofit agency Economic Development South, was among the largest awarded in the foundation’s first full year of grantmaking since Jefferson Hospital was acquired by the Allegheny Health Network in 2013. Terms of that deal called for AHN to provide $75 million to the hospital for philanthropy and community outreach. 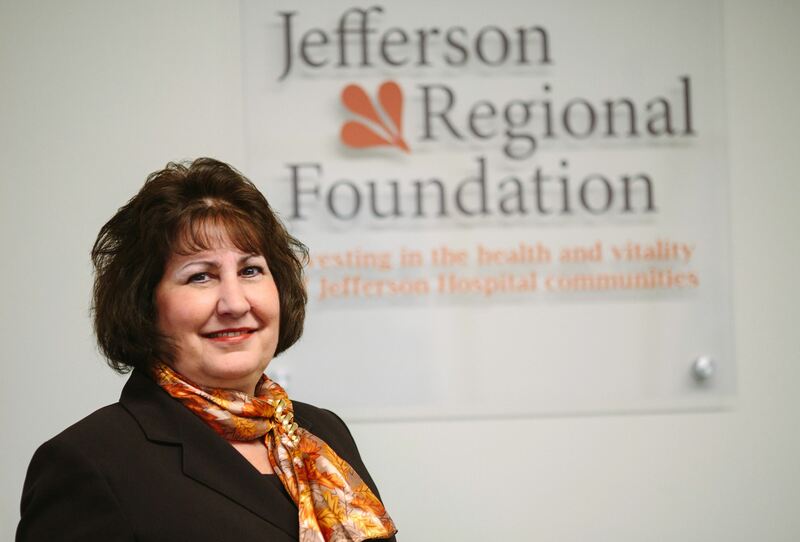 To date, the foundation has awarded about $2 million to nonprofits and initiatives that aim to improve wellness and socio-economic conditions for struggling populations in the region that surrounds the hospital in Jefferson Hills. Mary Phan-Gruber, the foundation’s executive director, held up the grant that targets economic growth in Clairton as a model investment. “We’ve looked at Clairton a lot,” she said of the town put under Act 47 financial distress status in 1988 after the steel industry collapsed. Citing a turnaround in municipal revenues and tax collections the last few years, Clairton officials earlier this month submitted a petition to the state seeking to be removed from distressed status; on Oct. 6 the city will hold a public hearing on the issue. “That’s a sign of real strength for us to build on,” said Ms. Phan-Gruber, adding that revitalization efforts for Clairton include addressing its lack of food stores, which dovetails with the foundation’s mission to improve health awareness through better nutrition. For its grantmaking, the foundation is targeting about 30 communities in the South Hills and lower Mon Valley stretching from south city neighborhoods such as Carrick and Hazelwood to suburban Forward and Elizabeth townships. Other large grants made in the fiscal year that ended June 30 include $150,000 to the Allegheny County Health Department for Mon Valley Live Well Allegheny, an initiative that engages schools, businesses and community groups in wellness activities that help prevent chronic diseases; $150,000 to Sisters Place for programs that assist homeless, single parents; and $100,000 to the Bhutanese Community Association of Pittsburgh to expand programs for refugee immigrants from Bhutan who have a large presence in South Hills communities including Whitehall’s Prospect Park section. Smaller grants included $15,000 to the American Red Cross for a home fire safety program in Duquesne, East McKeesport and Clairton; $50,000 to Jefferson Hospital to pilot a wheelchair van program to transport discharged patients to their homes; and $52,000 to Cribs for Kids to promote safe infant sleep practices in the hospital’s communities. Prior to the hospital becoming part of the Allegheny Health Network, it had a foundation that did fundraising and a small amount of grantmaking, said Ms. Phan-Gruber. The restructured foundation is a supporting organization of the hospital that does not engage in fundraising, she said. At the end of the fiscal year in June, the market value of its investment portfolio had grown to about $88 million, up 17 percent from the initial principal of $75 million provided by AHN, according to the foundation’s annual report. Of 20 directors on its board, five are from Highmark, the parent company of AHN. Ms. Phan-Gruber joined the foundation in November 2013 and was involved in the strategic planning. Much of its mission is based on a health needs assessment for the South Hills and Mon Valley conducted by the hospital in 2012. Among the findings were pockets of suburban poverty and challenges for residents who lacked accessible public or personal transportation. 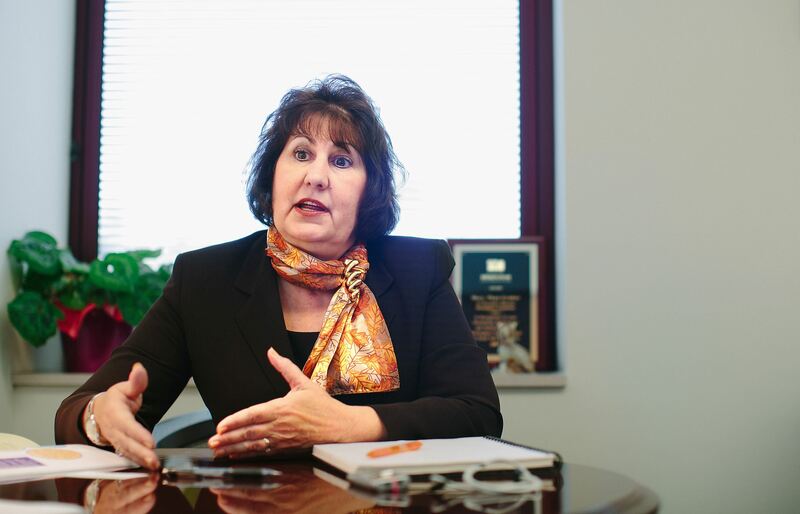 She expects the foundation will award another $2 million in grants for the 2015-16 fiscal year and said it is seeking community input about how to scale up or support agencies and programs already doing good work. In June it hosted a community forum for 240 individuals from more than 130 organizations — including churches, governmental agencies, schools and nonprofits — that included a presentation on the state of health in the South Hills region. On Oct. 6, it will convene the first in a series of follow-up sessions at CCAC South to “see what people want to get engaged around,” said Ms. Phan-Gruber. Joyce Gannon: jgannon@post-gazette.com or 412-263-1580.